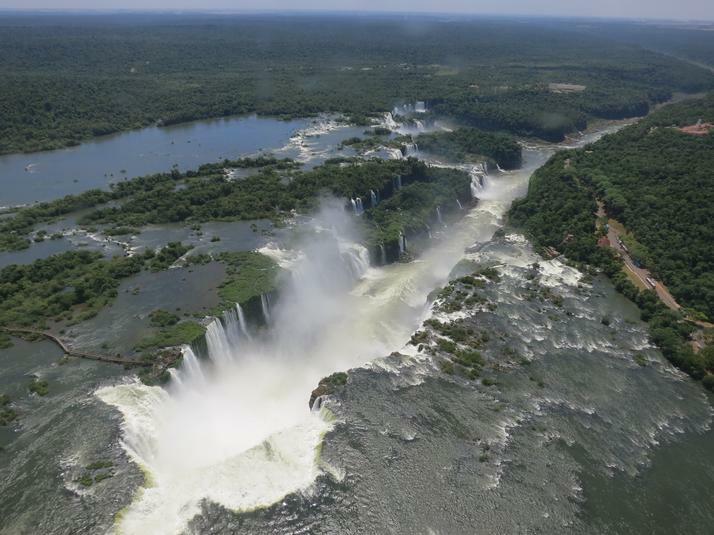 Iguazu Falls was the best come back possible to Argentina from Brazil. The falls are truly worth the detour from any trip in any of those two countries. The Argentinean side is however the one you’ll want to see. I first stopped in Foz do Iguaçu on the Brazilian side. Brazil faces the waterfalls and walking along the river provides some beautiful views. The path ends on the bottom side of the Devil’s Throat, the roaring horseshoe shaped waterfall. An afternoon is enough on this side. Helicopter tours are only available on the Brazilian side and given the descent price (US$120) I went for it. Although helicopters are not allowed to fly low, the views are amazing and you get another perspective of the area. I crossed the border in the early morning to spend the day in the Argentinean side. Fellow travelers were always raving about it and it’s definitely the one you need to see. There is no comparison and it’s not worth coming only for Brazil’s side once you know how better the other is. 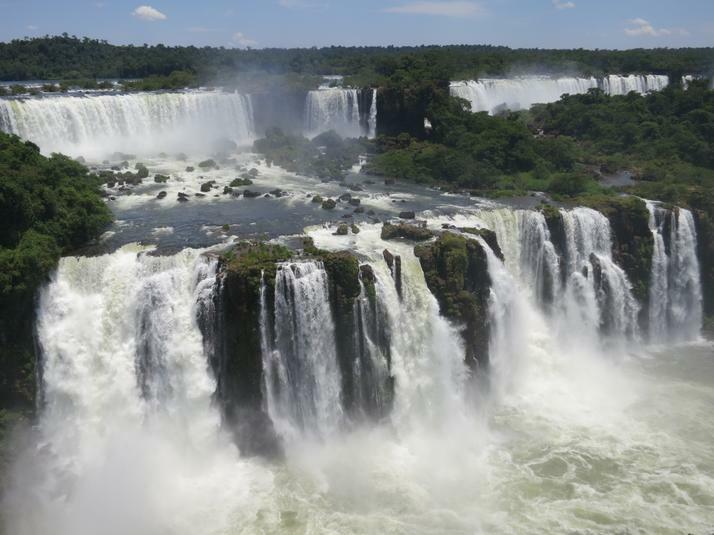 The Iguazu National Park is huge and offers very close up views of the waterfalls. You can feel their raw power, it’s a truly amazing place. It felt like I was back in the Jurassic era and wouldn’t have been surprised if a dinosaur appeared. The boat ride to the bottom of some of the waterfalls is really fun and refreshing. The amount of water pouring on you is massive. 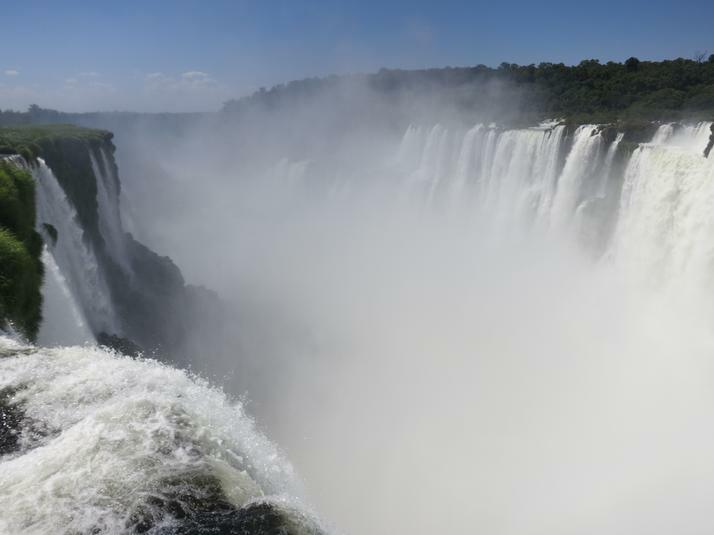 Iguazu Falls are an unmissable sights if you are in Brazil or Argentina, it is a true demonstration of nature power and beauty.